You have thought about volunteer work in Vietnam for a while, but need some information to make a final decision? If you are looking for a place full of culture, great beaches, awesome weather and tasty cuisine abroad, then look no further! In the past, Vietnam has struggled with high levels of poverty but is now considered a middle-income country with booming metropolises such as Hanoi and Ho Chi Minh City. Still, Vietnam has a lot to do to battle problems like corruption, economic inequality, and improving government policies. WE WELCOME YOU TO COME! Mr Linh's Adventures is a destination management company of Indochina Trusted DMC. We have 10 years' experience organising tours in Vietnam, specialising in off the beaten track, adventure, trekking and cycling tours and volunteering projects. We organised trips for 10.000 tourists yearly from European markets mainly France Germany and UK. We are members of Travelife, PATA and have the Trip Advisor Excellent certificate. - Members of Travelife, PATA and have the Trip Advisor Excellent certificate. Trusted DMC team for Responsible Tourism, Go Green. A baby impatient to meet the world, Mr Linh was born in the shade of a tea bush on a cool, misty November morning. He had a hard-working but idyllic childhood cutting grass for his grandfather's buffalo and working in the rice fields of Phu Tho Province. As Linh grew, so did his curiosity for the world, bringing with it the ambition of becoming a tour guide. He dreamed of meeting people from all around the world and connecting them with the beautiful landscapes and cultures of his country. 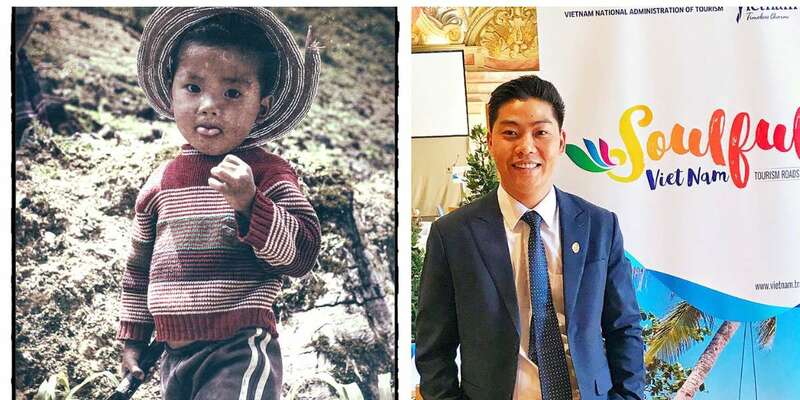 At the age of 19, he took his first footsteps in following his dreams, and he travelled to Hanoi to study tourism at university and learn English. As well as being a dedicated student, Linh worked hard to fund his studies, working in local restaurants and as a builder and welder. This gave him invaluable experience when it came to setting up his homestay, which he started from Ba Be National Park. With a dream of becoming a professional tour guide, he continued his studies in tourism and spent three years working in the tourism industry as a tour guide for a number of travel companies in Hanoi. Responding to the travel aspirations many international travellers seek, Linh sought out off-the-beaten-track places to show visitors, and approached many ethnic minority villages to arrange visits there too. He gained expertise in everything from giving travellers tips on how to get around the country, to itineraries ideal for business travellers. 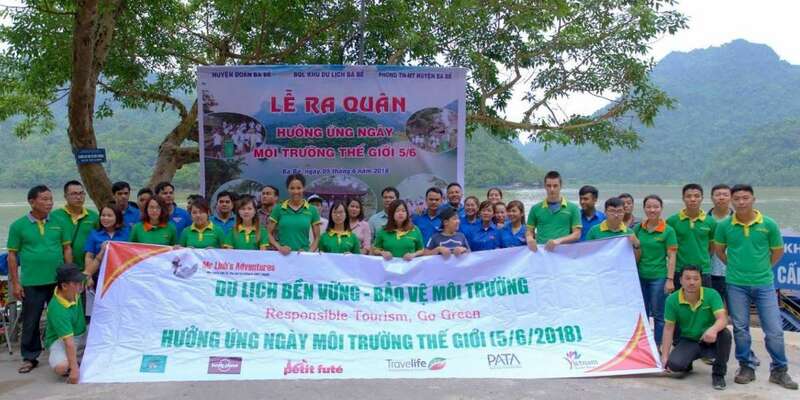 The combination of volunteering, environmental protection and sustainable tourism development gave him the idea of forming his own company Mr Linh's Adventures. Mr Linh's Adventures quickly gained the support of traditional travel agencies, tour operators and international customers, through the adventures with the team that Linh held and familiarisation trips. Building the business step-by-step, Mr Linh's Adventures now has a team of 40 people who design and run the most distinctive products on the market. By 2016, Mr Linh's Adventure had worked with 7,500 international tourists to Vietnam via the company's booking system and agents in Vietnam. The company has received further recognition with recommendations in guidebooks such as the Lonely Planet, and Petit Fute. The company has also received multiple awards for responsible tourism and tourism safety standards. Mr Linh's Adventures has a representative office at Ba Be National Park and its headquarters at 83 Ma May Street. Hanoi. Since 2016, Mr Linh's Adventures has been working with a new client system: TrustedDMC. As a destination management company in Indochina, TrustedDMC has given Linh's original travel products a new level of reach across the world. Working with travel agencies, tour operators and other travel providers across the globe, TrustedDMC offers the most authentic products for experiencing Indochina culture, from homestay experiences to luxurious resorts and travel itineraries to business conferences. 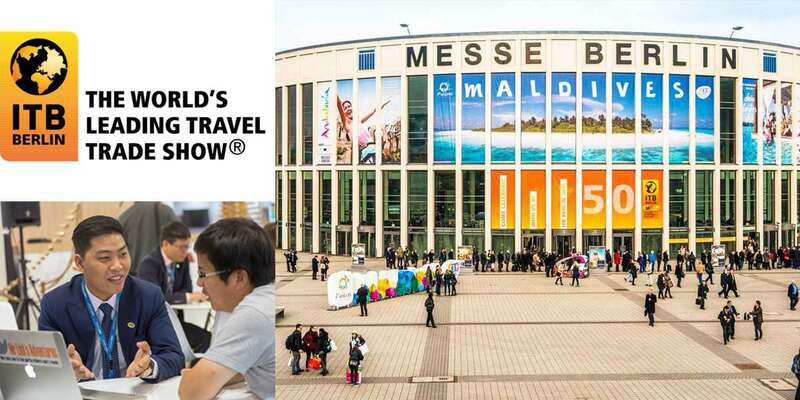 - The tourism road show with VNAT at Denmark, Norway, Finland, Sweden or Zurich, Vienna, Budapest, and Prague and in August 2018 Brisbane, Sydney, Adelaide, Melbourne, in Australia and Auckland in New Zealand. With 10 years of tour and practical experience, Mr. Linh's Adventures and TrustedDMC are two brands that are rated 'excellent' for both direct customers and business customers. We believe that the shared benefit in tourism are a solid bridge between business and local people. We invite you to join us.